We are bunch of repartees that will never leave an opportunity to belittle our friends when their football club loose. We are among those who have sacrificed TV sets and remote controls whenever our own teams have under performed in lieu severe criticism from our elders. As the world considers us to be otiose, we have no interest in proving them wrong. The only interest we have is in vindication of our belief in our clubs and our sports stars in front of our friends with different affiliation. If you fall under this 0.1% of world’s population, which remaining 99.9% does not have the caliber to understand, then here’s your reason to rejoice. 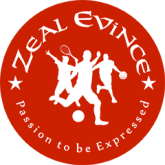 We at Zeal Evince Merchandise are going to bring you tools to express your passion and belief impertinently. We are happy to announce that we have come up with amazing quality Jerseys, Jackets and Track pants as of now. Also very soon we will be launching other products like Logo Patches Polo T shirts, Scarfs, Caps, Hand bands, bags and other cool stuffs to equip you with more tools of expression. As we grow along with you, we will try and redefine our self to suite your needs. We will do our best to bring these products of optimum quality to you at affordable rates. Hope you will like what we do. If you do, join us on Facebook, Twitter and Google+, and be part of a community.